Congratulations to Christopher Ward on the launch of their new collection. The new collection, called Alex is designed for women. It is indeed unique in design and is very British. 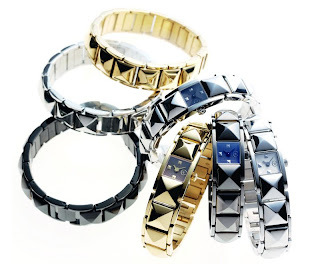 The watches in the collection have the pyramid stud motif, iconic to the punk era. The model reference N22 is also the postcode for Alexandra Palace in London where bands like Siouxsie and the Banshees played. 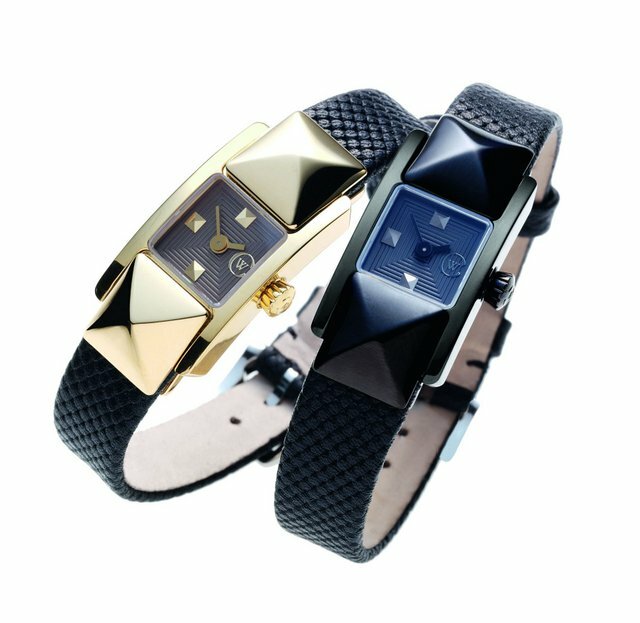 The watches are rendered in anthracite, black, gold and even polished (hand polished at that) steel complimenting the myriad collection of bracelets. There is still not much information on the watches in terms of specifications, size etc, but I will bring updates as I receive them.